Kate’s beloved Grandad has died and the world isn’t the same any more. Who will take her to school? Who will look after her when her parents are working? And why are the adults all smiling and talking as though nothing has happened? 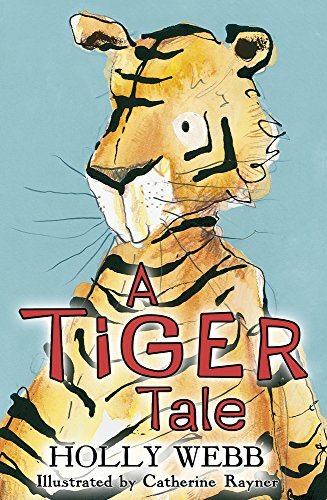 Amos, the toy tiger given to her by Grandad, takes on a new significance in Kate’s life as she curls up in the garden shed where she and Grandad had spent so many happy hours together. Things come to a head when Amos is stolen from Kate’s bag when she reluctantly goes to a holiday club. This is a book which deals sensitively and realistically with bereavement and loss from the perspective of an 8 year old. Unable to interpret the reactions of her family to their loss, Kate becomes increasingly angry. Eventually she realises that her family is suffering too, even though they each express their grief differently from her. Gradually, her memories become something to cherish rather than hide in and she discovers that it’s fine to talk about Grandad. Death is often a taboo subject in contemporary culture, but this book deals with it sensitively and realistically. It is highly recommended for any 8 to 10 year old facing their first loss, but it is also a really good story in its own right, with realistic characters, pacy plot and plenty of pause for thought moments.